Just a thought here…I get a good amount of traffic on this site looking for things to do with Windows Media Center and the Xbox One. A WMC app would be pretty easy to develop for the XBONE since it is simply a remote desktop connection (and the XBONE runs Windows 8) – heck my Android Phone now has an official Microsoft Remote Desktop app. It can’t hurt to try, right? Here are a few tips on how to get Windows Media Center to work with the XBOX ONE. It is well documented that you can use the HDMI pass-through to display a 360 or even a PS4. It is the same trick that allows a cable box to pass through it’s picture. First, set your XBOX 360 to boot to Media Center when it starts. Inside the settings app on the XBONE go to “TV & One Guide”. Then you will be able to choose devices from a list or to type in the manufacturer followed by model number. In this case I used Microsoft Xbox 360. I also checked to see if there was an entry for Ceton‘s Echo, there is not. There is an option to type in Media Center and use remote commands for a media center remote. The Kinect 2 will then be able to use it’s IR blaster to turn on and off the XBOX 360 and hence Media Center. However, in my experience it does not control the 360/WMC menus. I had zero luck with changing channels without the remote for the 360 as well. According to Microsoft even under the most ideal conditions (a cable box) the XBONE can only change channels, volume, and turn the device on and off. It cannot manage recordings or access on-demand content. I was pleasantly surprised when I said “XBOX Volume Down” and my Onkyo receiver dropped the volume three notches. Much of the control issues could be overcome with some creative programming of a universal remote. Logitech Harmony remotes can be programmed to control the Xbox 360 and the XBONE. I did not take this final step – hence the word “Hypothetical” in this article’s title. If you own both devices, have room in your rack, and a good universal remote this might work for you. Here are some images of Media Center running through the XBONE’s HDMI pass-through. Windows Media Center looks right at “Home” here. I set this up temporarily due to the fact that I do not have room in my rack for both the 360 and the XBONE. Silly me…I assumed the next XBOX would do more than it’s predecessor did. Want to drive Forza 5 while listening to Metallica?….this is what it would take. Of course this seems a bit absurd to run essentially two computers just to watch TV – especially from a power consumption point of view. UPDATE (6/16/2014): Since this post gets a lot of hits I feel the need to do a brief update. I do not think that the technique here works any longer with the newer versions of Android OS and Google Music player. I abandoned using Android out of frustration with this process once my phone updated to Ice Cream Sandwich. (Windows Phone does sync natively with Windows Media Player – FYI). If you are using a version of Android (2.x or 3.x) this process may still work. I dislike loading extra software onto my PC or phone. I’m always worried that whatever is being installed will clutter up my otherwise clean OS and create conflicts and performance issues. 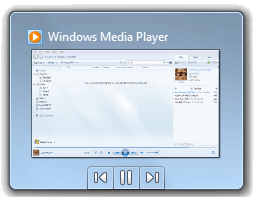 Therefore, I use Windows Media Player to organize my music collection and prefer to use the stock music player on my Android phone. Unfortunately, WMP does not transfer playlists to the Android music player when it syncs the music files. After much research and experimentation I finally discovered that it is possible to simply cut and paste a native .wpl (Windows Media) playlist into the Android “Music” folder and the Play Music app will see it and play it. No additional software required. This is a nice discovery considering that Windows Media Center is my preferred home entertainment platform. Thus, you can make a playlist conveniently on your PC, use the same list on your Xbox360 for the home and have that playlist work on your Android phone.